Competition glider SB 9 (SB=Segelflugzeug Braunschweig) is a glider of line SB with wing span 22 m, developed by group of students and teachers of aviation faculty at Technical university in Braunschweig. The glider took off for the first time on January 23, 1969. 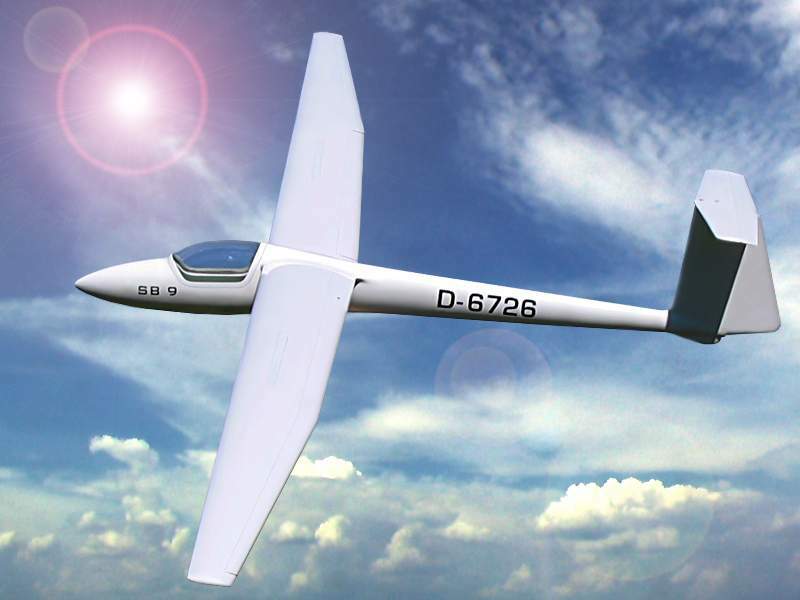 Our company produced a model of glider SB 9, all-laminated, scale 1:5. The model is designed for slope and thermic flying.